If you follow me on instagram you know my Monday’s are spent playing with Miss Molly. And believe me, its the best day of the week. Some Mondays I pick her up with a fun agenda planned ahead of time, other Monday’s we just play it by ear and decide on whatever fits her fancy for the day. This particular day I picked her up and mentioned that my toes really needed to be painted, or in other words . . .
At which Molly quickly responded, “My toes need it too . . . and I want pink paint! 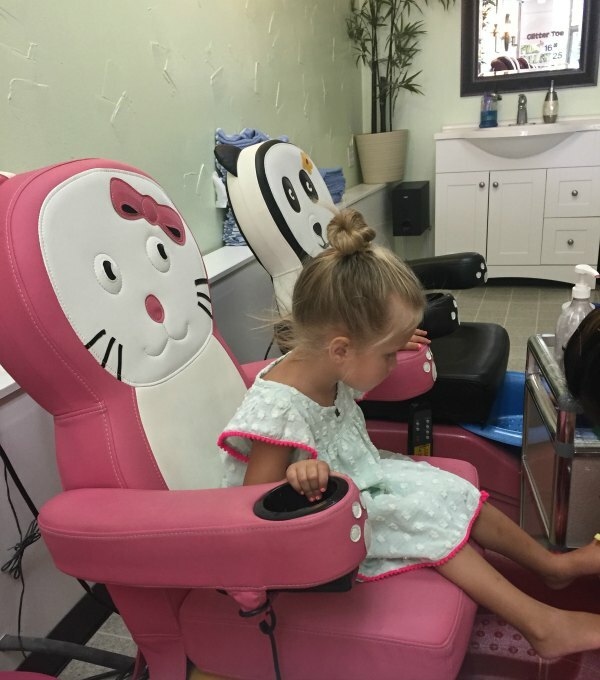 I’d seen and heard of this cute place with pedi chairs made for littles like Molly so I made a quick phone call and here is our result. When she entered the studio she quickly grabbed the brightest pink polish available and instantly found this amazing pink kitty chair. 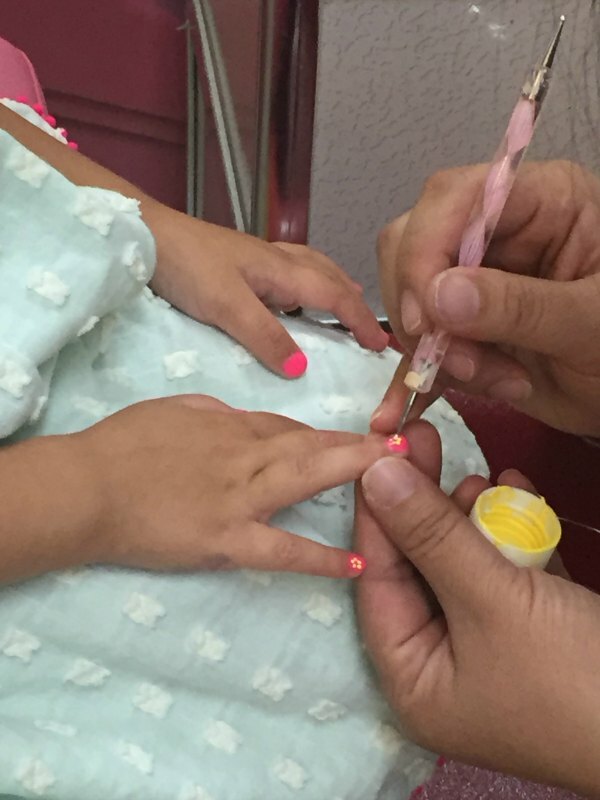 What little girl doesn’t dream about pink nails with yellow flowers? It’s never too early to teach a little the joy of self care . . . Right??? As always my friends thanks for dropping by. Have a wonderful Monday. *If you want to see more of my Monday’s with Molly the adventures are all on my instagram. « HOW DID YOU SPEND YOUR WEEKEND? 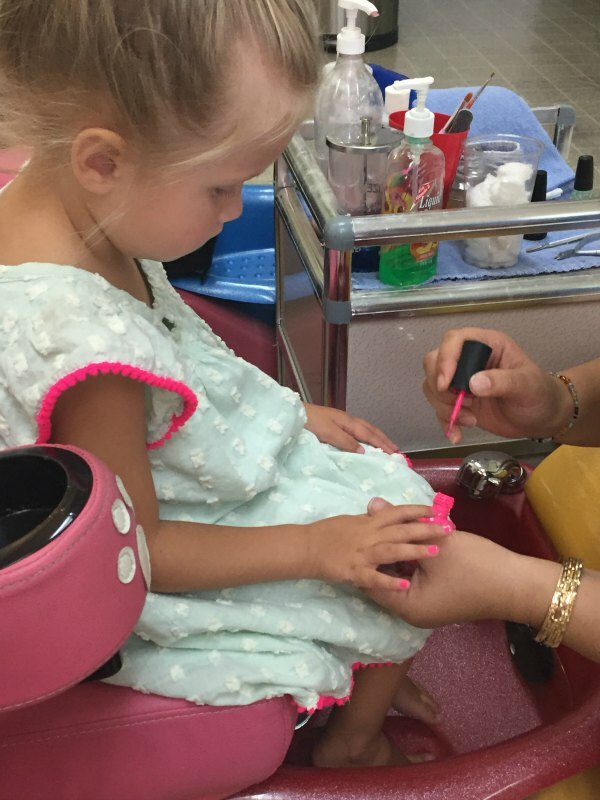 Girls getting pamper — so sweet! Absolutely adorable! I have 4 little granddaughters 3 years old and under. I can’t wait until there are old enough to do this!! This is so cute! I love seeing your Monday’s with your darling granddaughter Molly! How fun! 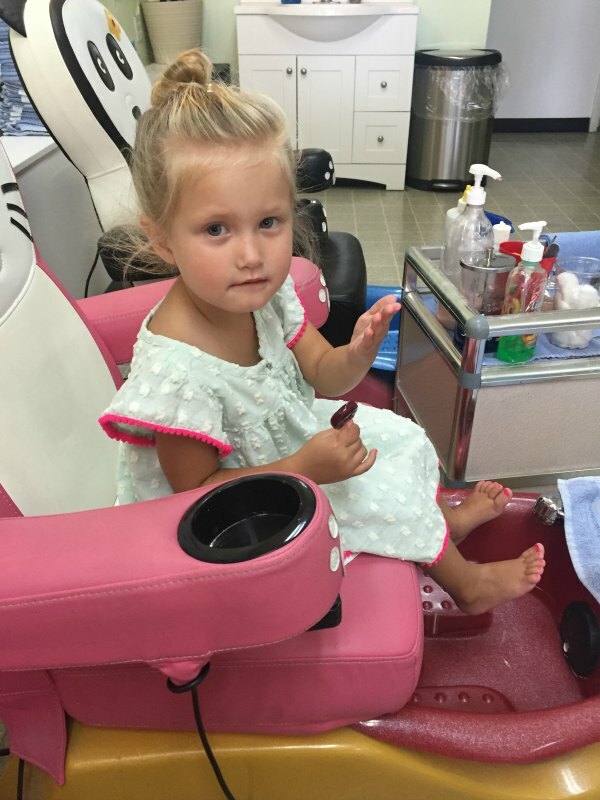 Can you tell me the name of the place where you and Molly had your pedi’s at? Such a cute place! I would love to take Lydia! What a fun day for grandma and granddaughter. She is truly is the greatest lover of pink. How cute. What a lovely experience. I love the little golden dots on her pink nailpolish haha. And that is the prettiest dress she is wearing.